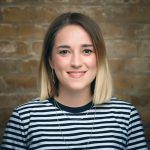 Looking for cheap venue hire in Bristol? A city full of charm and character this quaint southwestern city is a hub of culture, which is also reflected in its wonderfully unique event venues. Bristol has lots of venues available to hire and some of the best Spaces are available even when you have a very small budget. 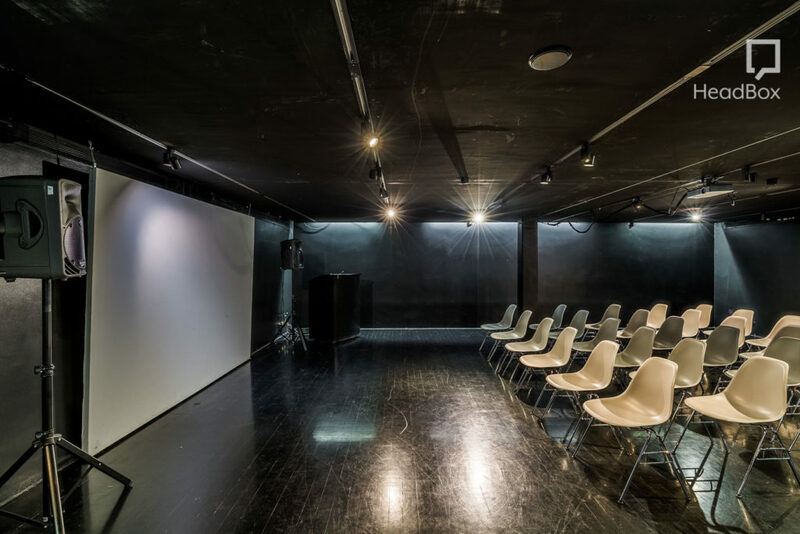 Take a look at our top Spaces and hire them for your next event. Racks are located in Clifton, not far from the city centre of Bristol. This venue is made for events. Able to accommodate up to 200 people for private parties, the team at Racks will go out of their way to make sure you and your Guests have a fantastic time. If you’re after a smaller Space for your event, the playroom at Racks is able to hold up to 120 people. Available to hire for £350 minimum spend Racks won’t break the budget when looking for affordable venue hire in Bristol. A HeadBox favourite, The Milk Thistle is a gorgeous bar in the city centre of Bristol. 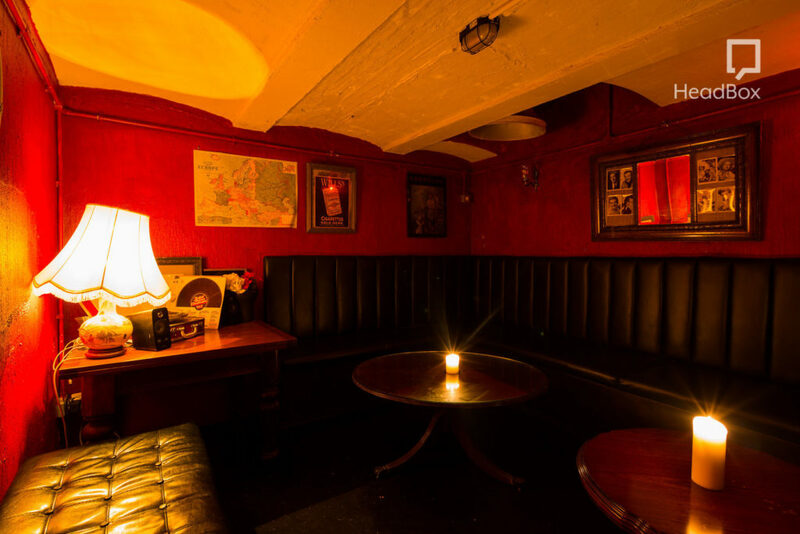 The Vault is the smallest of their Spaces able to cater for a maximum of 18 people and is a great location for an intimate event with your close team. A private venue for your next corporate party this is an unusual basement venue which has a unique and homely design, dotted with old school interiors and posters. You and your Guests can enjoy a personal bartender and at just £400 per day this party venue in Bristol is a steal. The centre of contemporary arts in Bristol, Arnolfi is a unique venue located right on the harbourside. Dark Studio at Arnolfi is a unique venue for your conferences, meetings, workshops or team away days and is available to hire from just £300 per morning, a great cheap venue hire in Bristol. This versatile venue allows you and up to 70 Guests to make the Space your own. A range of flexible pricing options are also available and Arnolfi offers packages for fully catered events, professional sound, lighting, projection and more. So for a cheap venue to hire in Bristol for your next conference look no further. Ever wanted to party on top deck? Well, now’s your chance. 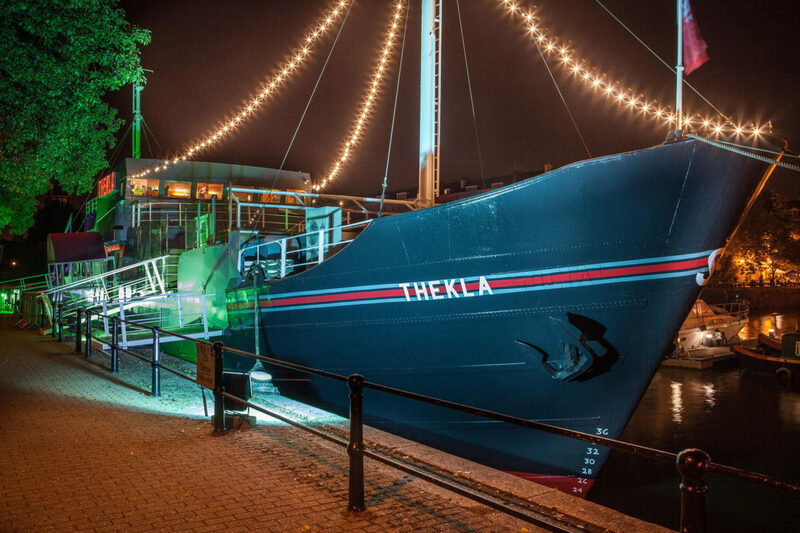 Thekla is a former cargo ship that now proudly sits on the harbourside as one of Bristol’s favourite event venues. Able to cater for anywhere between 50 and 200 people Thekla is a great unusual, affordable venue that can really wow your Guests. 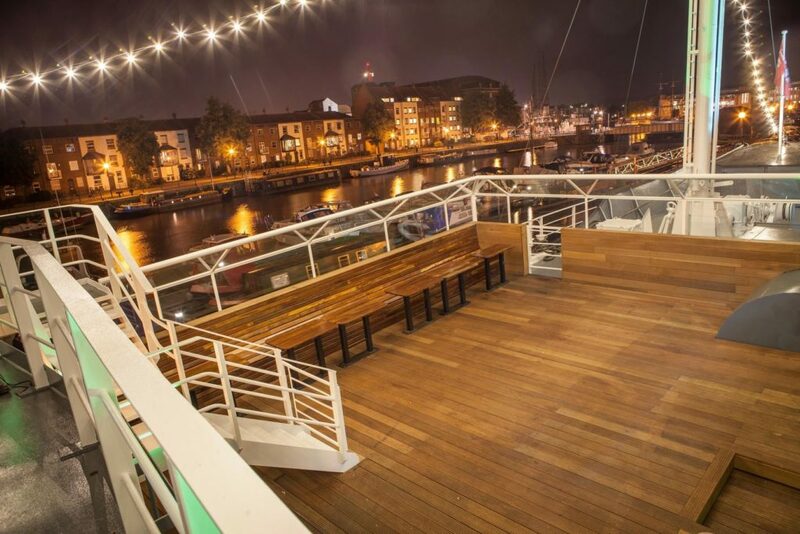 As well as the bar below deck, your Guests can take in the beautiful view and whatever the weather celebrate on the top deck. So if you’re looking for an unusual party venue in Bristol that won’t break the bank look no further than Thekla. Steinbeck & Shaw in Bristol can accommodate an impressive 396 people but remarkably can be hired from just £500 per day. 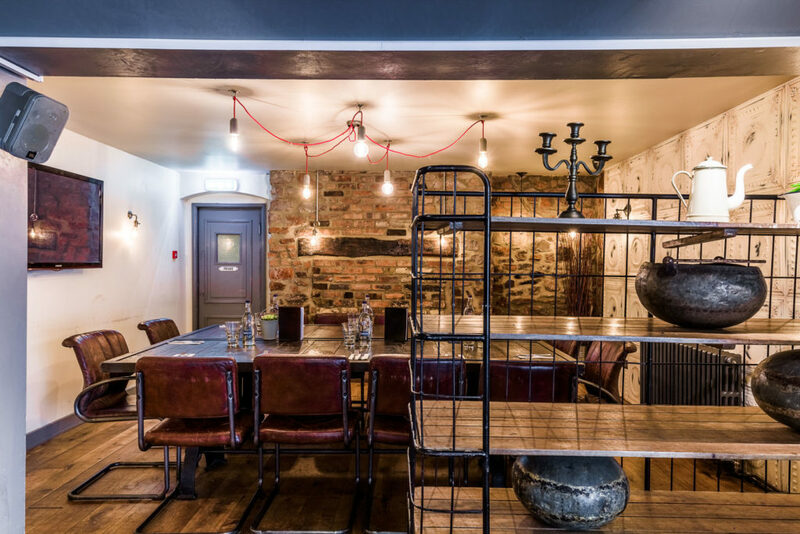 Located on Canons Road Bristol this centrally located venue is a great option for a private party or team away day. With unusual decor and plenty of natural light, Steinbeck&Shaw is a fun venue hire in Bristol. A highly flexible Space that is able to accommodate any kind of event it’s a great venue to get your creative energy flowing. Once the hard work is done, enjoy a drink or 2 with your colleagues in Steinbeck&Shaw’s fully stocked bar. Enquire now and make your event stand out from the crowd. Open for a remarkable 40 years, Cafe Tabac is an iconic Bristol venue. Nestled at the top of the famous Bold Street in the city centre, Cafe Tabac is a creative cafe that is full of venue hire options. 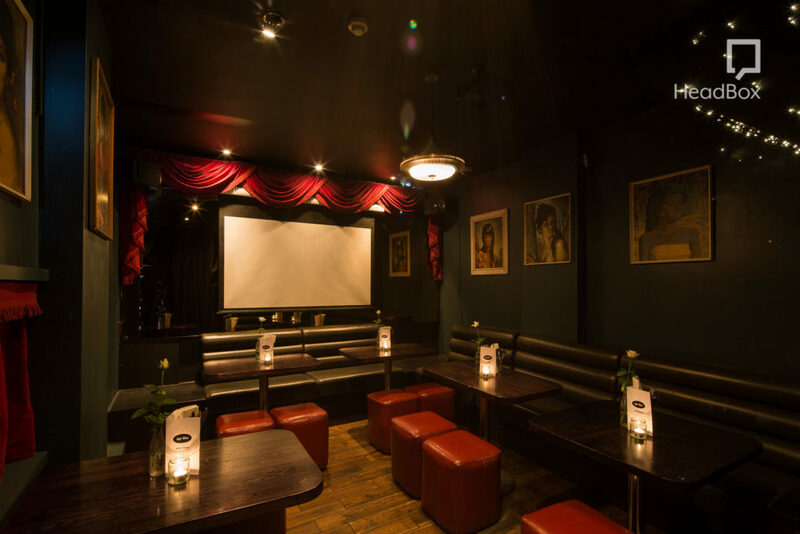 The private area of Cafe Tabac is ideal for private screenings, important meetings, seminars and even training days. A cheap venue to hire in Bristol, Cafe Tabac can be rented out for £400 minimum spend. This venue is an inspiring Space full of small details that lend itself well to creative meetings. A great ambience fills this Space and a range of hire options are available so enquire now via their listing to find out more. Everyone loves live jazz music so, for your next event why don’t you hire the Jazz Club at Future Inn Bristol Hotel? 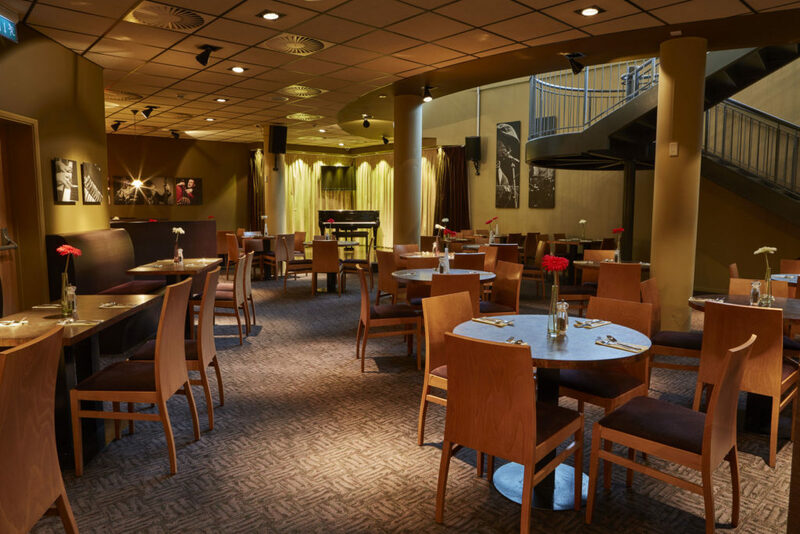 Full of soul and a musical atmosphere, Jazz Club offers a private Space on the lower ground floor of their restaurant. An ideal Space for private parties, private dining or just a team away day, Jazz Club can accommodate up to 70 Guests. Available to hire from just £200 a day this cheap venue hire in the city is a great destination for your next event. So, when looking for venue hire on a budget Bristol has plenty of Spaces to choose from. 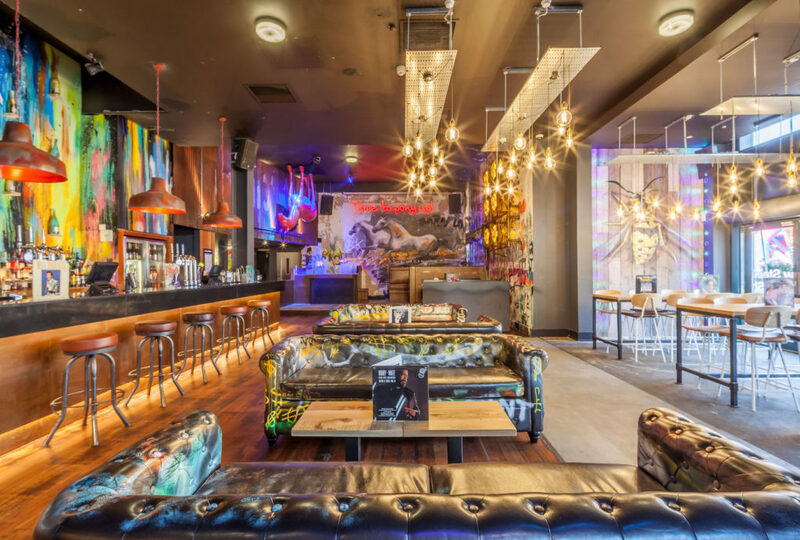 Need some more inspiration take a look at our favourite Bristol Party Venues and explore the very best venues the city has to offer.